Some of you know I will be after a new car during the summer at some point. I had been dead set on a MK4 Golf R32 but from checking out Auto Trader the other day the MK5's with still relatively low mileage (35-50k) aren't selling for much more than the MK4's. Which got me thinking it might be worth looking at getting the newer model. I like the look of both cars, but can't help but think the MK4 looks abit better. Also, alot of the MK5's have a DSG gearbox which I wouldn't want tbh. personally i'd go for the MK4 in that blue with the multi spoke! the more i drive around and see MK5's the more i think they aren't that special, don't get me wrong they look fantastic and the car is to die for, but it's becoming a bit like the MK3....common! there's about 5-6 MK5 R32 around here, love em all, but MK4's are quite rare, i don't know if i've seen one for a while actually, there's a lad with a tdi mk4 with R32 style bumps??? any car with that engine in it is going to be amazing! jst out of intrest how much is ther insurance gna b on the r32? Mk4!!! They look so much sweeter than a Mk5 R32. An Mk3s arent that common!!! I've had a quote for £1300, so not too bad. This is true. I used to see a silver one often on the way to work, haven't seen it in months now. I don't think I've seen any others about anywhere. 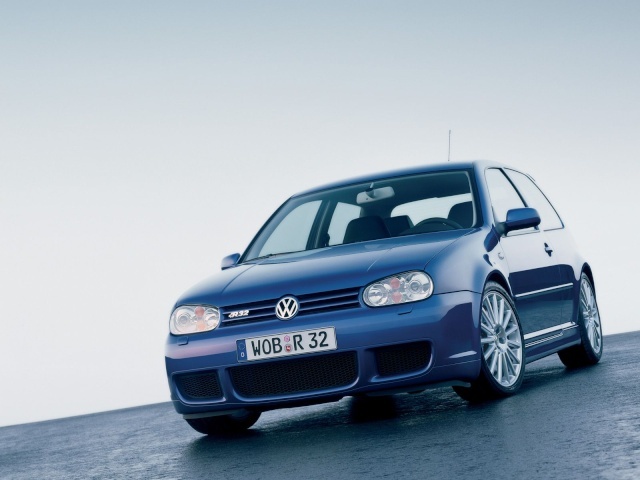 mk4 gti or mk4 r32 the 32 wins hands down! 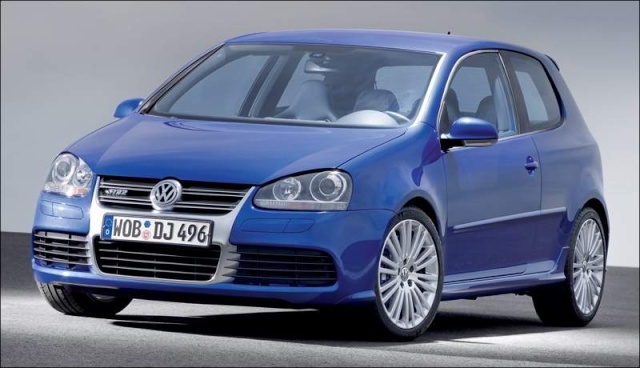 mk5 gti or mk5 r32 the gti looks so much beta than the 32!! but go with wot u want mate!! I just don't know. All depends what's about at the time aswel (price wise I mean), I'm hoping prices will drop again with the new Golf released. or get a s3 mate!! I've gone off them now tbh mate, don't know why. I used to really want one. Is it a woman that drives it? Are they not releasing a MK6 R32???? WHY??? i love the look of the MK6! Nope it's a bloke he's quite old probz about 50-60ish. Standered but it still looks sweeet.